← Should I Rent or Buy a Trailer? Can I Get an Electric Car Towed? Electric cars are trickier to tow because they require some special attention and a certain type of tow truck. 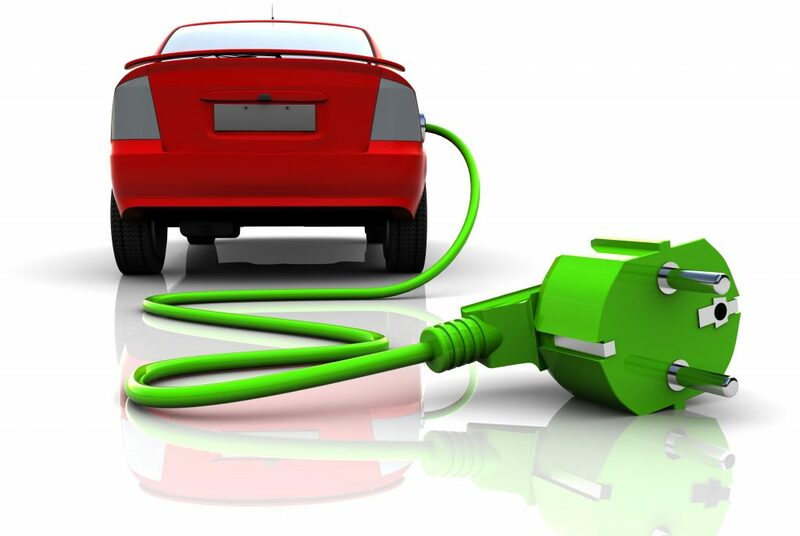 Continue reading to learn what these requirements are before your electric car or truck accidentally gets towed, improperly. If you were to have your electric vehicle towed by a standard tow truck, you would encounter some costly problems. In order to tow an electric car, you must disengage the driveshaft from the electric motor first, so that the motor wheels roll along with the vehicle, freely. If you do not do this, your car will require some serious repair. You see, the majority of electric vehicles being driven lack a transmission, so there is nothing connecting the motor to the driving wheels. They also lack a neutral setting, so there is nothing that automatically disabled the drivetrain, which means the wheels do not automatically disengage from the motor. In a standard vehicle, the neutral setting takes care of this part. Towing an electric car from its wheels is damaging because the motor will continue to spin and the cooling system won’t be turned on. The friction of the motor will lead to an accumulation of heat, which can be highly damaging to the motor, and can even total it altogether. Electric motors can run you an upwards of $5,000 or more. As long as you instruct your tow truck operator to disengage the driveshaft before towing your electric car from the wheels, you should be in good shape. However, if you drive an electric car and you need a tow, you can also request a flatbed tow truck. This is the perfect solution to towing electric vehicles since there is no need to tow from the wheels. It also saves time since there is no need to disengage the driveshaft, which takes and average of 20 to 30 minutes to do. 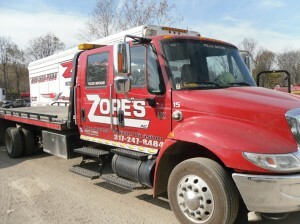 Call Zore’s Inc. at 317-247-8484 for 24 hour towing and recovery in Indianapolis, Indiana. We open a family-owned and operated business for 90 years, so you can trust us for prompt and professional service. Since 1901, we have provided 24 hour towing in Indianapolis and throughout Indiana, as well as, property management and roadside assistance services. Request a free estimate from a friendly office manager, anytime! This entry was posted in Towing and tagged 24 hour towing Indianapolis, electric vehicle towing, Tow an Electric Vehicle, tow electric car, tow electric truck, towing tips. Bookmark the permalink.